The Three Camel Lodge. Photo courtesy of Nomadic Expeditions. Many consider Mongolia to be one of Earth's last frontiers, a destination so far and remote that only the most experienced of travelers can get there. Alex Erdman of bespoke travel consultancy thinks that, with a little guidance, it's an obtainable travel dream destination. Erdman breaks down the highlights for us — from her favorite tour operator to the moments and people that will stay with her forever. For intrepid travelers, there may be no greater thrill than having the chance to explore a destination seemingly untouched by tourism. Mongolia is an explorer's dream, with natural wonders like the Gobi Desert and annual festivals such as Naadam. 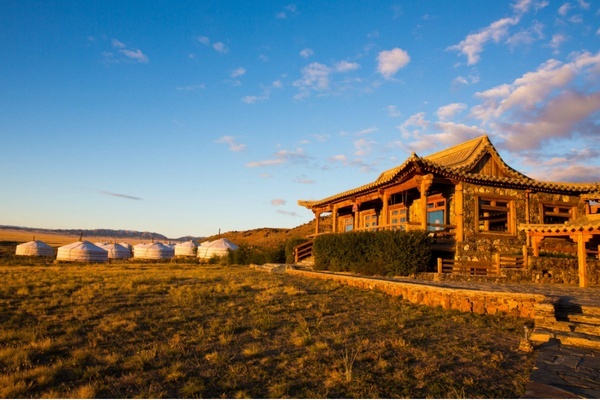 Due to its remote location, Mongolia sits low on many Westerners' travel wish lists. Tourism has grown at a slow but steady pace. On a recent visit to the Southern Gobi Naadam Festival in Dalanzadgad, I was one of six tourists out of 10,000 spectators. Experiences like this feel authentic and intimate due to such ratios, and photographers can find endless inspiration in the country's people, landscapes, and religions. 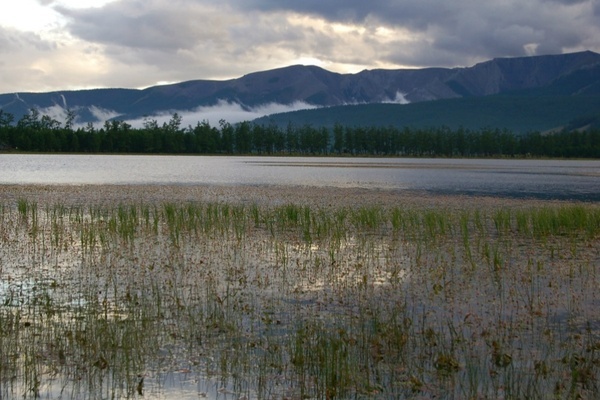 Lake Hovsgol. Photo by Brian Dearth / . A Mongolian archer like those seen at Naadam Festivals. Photo courtesy of Nomadic Expeditions. Located between China and Russia, Mongolia is roughly the same size as Alaska and is completely landlocked. The capital, Ulaanbaatar, is in the country's northeast region along with Lake Hovsgol, which is known for its Taimen fishing. Much of the north exhibits a Slavic influence from neighboring Russia, which occupied the country from 1924 to 1990. 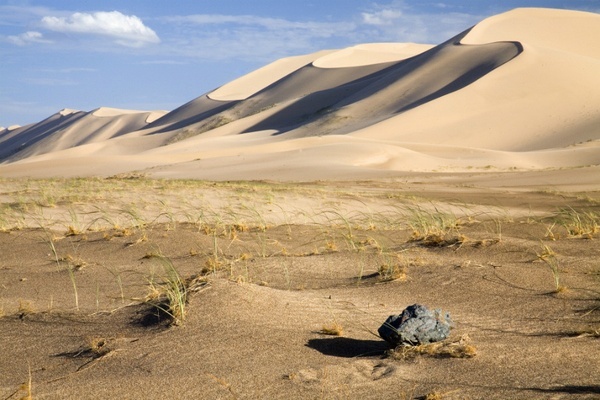 The Gobi Desert occupies the southern part of the country. In the west, Kazakh influences can be felt in the region's dress and customs, which you may recognize from their famous Eagle hunters. Photo courtesy of Nomadic Expeditions. For adventurers with a limited amount of time, a visit to the Southern Gobi Desert is a must and provides the quintessential vision of Mongolia complete with open steppe and gers galore (the Mongolian word for yurt). Aside from photography, my days were filled riding camels on the steppe, adventuring through the sand dunes, visiting dinosaur digs, interacting with local families, and setting up camp for the evening. We also had the opportunity to visit a local Buddhist temple and hang out with a monk who lived deep in the hills of the Southern Gobi. It was a deeply emotional experience; he told us of the persecution of the Buddhist clergy by Russians during the occupation and how few temples and followers survived. His temple was built entirely by hand and believers carried stones and wood up 1,800 steps to the top of the mountain in order to rebuild their place of worship. While the endless views across the Gobi are epic, the memories I treasure most from my trip are the people I met. A highlight came when our group made an impromptu trip to a local family's ger the night before the Naadam festival. Driving down a dirt road, our guide asked which home we wanted to stop by — a challenge to prove the hospitality of the general population. We selected one at random, and the car took off in that direction. A couple in their late 20s answered the door, along with their three children, one of which was a five-week-old newborn. The parents took us in, sat us down, and fed us delicious fried dough (boortsog) while we conversed about life on the steppe. It was real and unscripted unlike so many "home visits" offered through hotels and guiding companies. This family expected nothing from us but gave us everything. It was a beautiful insight into Mongolian culture and a cherished memory that will stay with me forever. The fiery red Flaming Cliffs. Photo courtesy of Nomadic Expeditions. 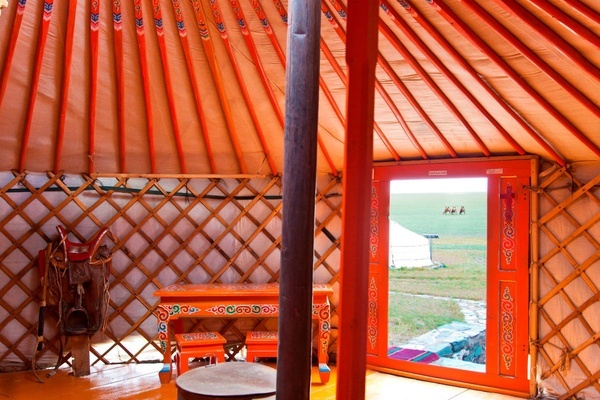 Mongolia is a versatile destination that has everything from cultural to outdoor activities. I would suggest trying a range of experiences. 1. 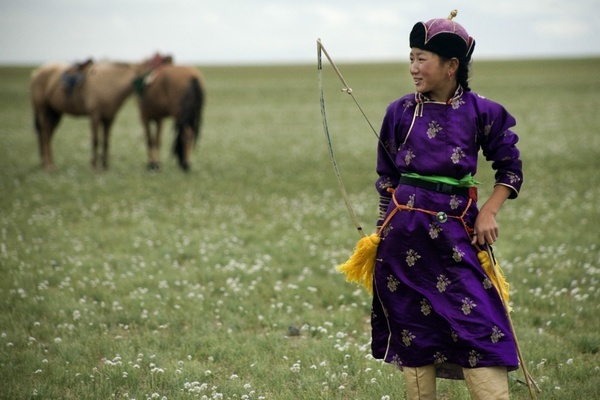 For those traveling in July or October, the Naadam and Golden Eagle Festivals are a must. At Naadam, locals participate in three main competitions: archery, wrestling, and a 30km horseback race. 2. Horseback riding can be experienced all over the country, but I suggest heading to the desert or just outside Ulaanbaatar in the . Spend the morning riding with locals. In the afternoon, head out on foot to look for endangered Argali Sheep. 3. Itineraries in the South Gobi should always include a night of camping. While not the most luxurious of accommodations, spending a night under the open sky stargazing and telling stories with friends was one of the most gratifying experiences of my trip. We woke up at dawn to catch a glimpse of the sun rising over the sand dunes before eating a delicious breakfast prepared by our chef. 4. The Yol Valley, along with various other sites in the Gobi, are perfect for moderate hikes. It offers one of the few spots to catch a glimpse of glaciers (even in the summer) and often leads to tiny surprises like petroglyphs and beautiful vistas. 5. Anyone who grew up interested in dinosaurs will relish in the opportunity to join a dig or visit one of the sites dotted throughout the desert. 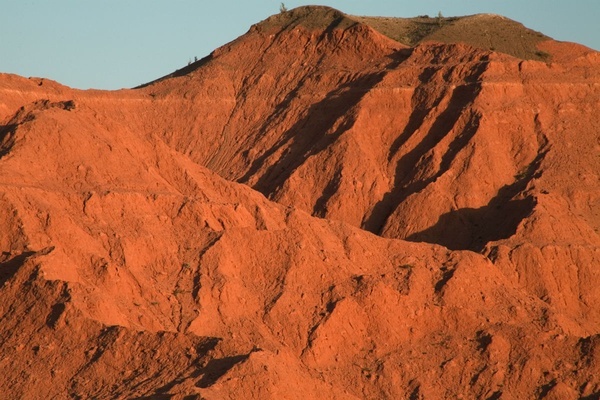 Activities can range from a casual hike to the top of the Flaming Cliffs, the spot where Roy Chapman Andrews found the worlds first intact dinosaur eggs, to a multi-day dig with a current expedition. I highly recommend that travelers use an operator while they are on the ground in order to coordinate flights, hotels, and experiences. I used and had a fantastic time. View of the Three Camel Lodge. Photo courtesy of Nomadic Expeditions. A room inside the Three Camel Lodge. Photo courtesy of Nomadic Expeditions. 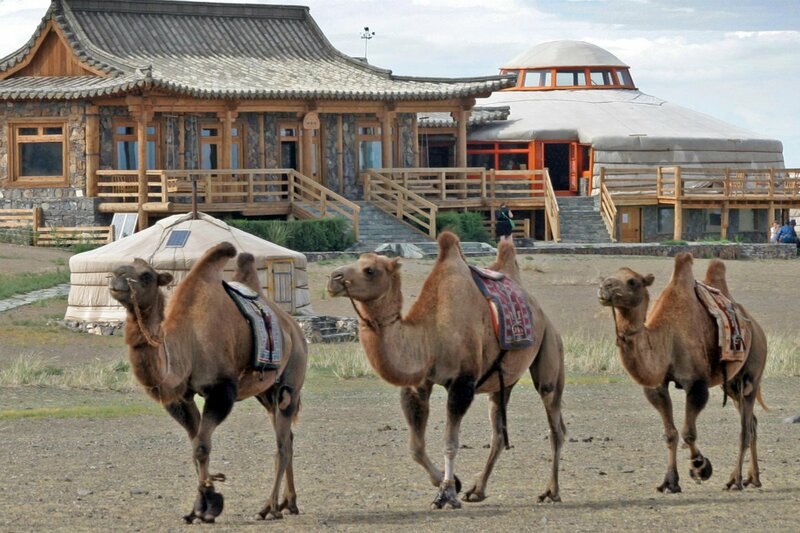 Mongolia offers a diverse range of accommodations from basic ger camps to a newly built Sofitel in downtown UB. For more adventurous travelers, renting an old Soviet van and crossing the Gobi is the preferred option. For travelers that want some of the world's creature comforts, the in the Southern Gobi is one of the most fantastic ger camps in the country. At one point we stood just 30 minutes from the property next to 5,000-year-old petroglyphs, looking down at a landscape that probably looked exactly the same as the day it was painted. In downtown Ulaanbaatar, the Sofitel is set to open this year and will be the country's first true 5-star accommodation. Until then, is the best option for foreign visitors. For those who wish to head north to Lake Hovsgol or West, I recommend consulting with an operator to help guide you through your choices. Many of the accommodations in these regions are basic and often times they need to bring in their own gers for larger parties. There are multiple flight routes from the US to Mongolia with the most popular being through Russia and China. However, most travelers will appreciate the range of airlines flying through Beijing and Hong Kong rather than just . Mongolia is a vast landscape, and travelers should be prepared for just how much driving is involved. Like many third-world countries, roads can be rough, with three-hour drives often feeling closer to eight. Mongolia is a developing country, with over a third of its population migrating into Ulaanbaatar and a rapidly expanding economy due to exportation of natural resources. This development will improve the roads eventually, but for now, don't forget to pack your Dramamine. The best way to travel throughout the country (aside from those extreme adventurists) is to work with a ground operator for all of your transportation logistics. The best time of year to visit is June to August as the Naadam Festival is a highlight in July, and the weather is warm and mostly dry. Those who wish to see the Golden Eagle Festival should travel in October. Low season lasts from October to April. Most ger camps close when the weather gets cold. Alex Erdman is a partner at , a consultancy specializing in curated travel experiences. You can follow her on and . She travels for the new friends and dinner-time stories. У нашей организации классный блог с информацией про https://karter-kiev.net.